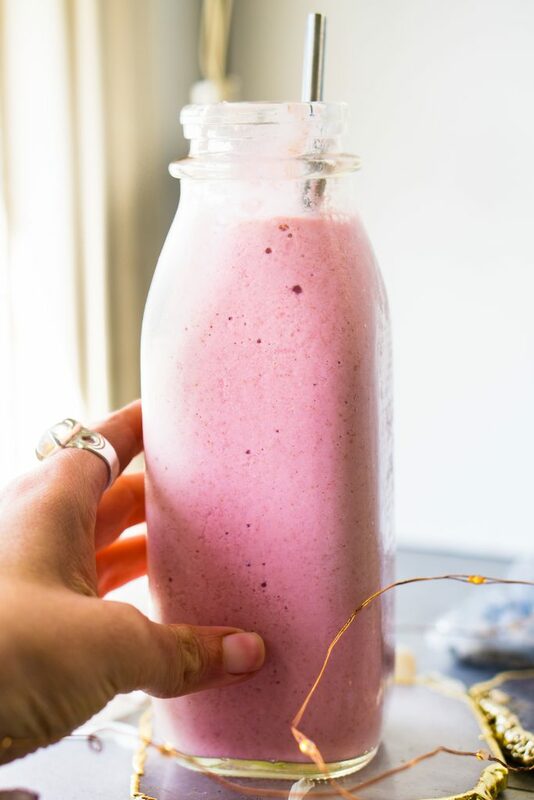 Rhubarb Strawberry Ginger Smoothie (vegan, paleo, & keto) is a wonderful spring and summertime treat filled to the brim with antioxidants and nutrition. Being from the Midwest I always heard of Rhubarb and the traditional way to enjoy Rhubarb in the Midwest is to make a pie out of it. Funny thing though is even though I grew up seeing the plant I never tried it… I know. Don’t ask me why but it’s never too late to try it right? So what inspired this recipe was my Imperfect Produce box, it was an option to choose. One of the many reasons I love Imperfect Produce is how easy it is to get gorgeous seasonal ingredients I don’t always see at my local farmers market or grocery store. Therefore it was time try Rhubarb for the first time and to my surprise it was AMAZINGGG! I love how it has the perfect hint of tart which balances the sweetness of the strawberries. As a high-fiber food, rhubarb can help ease digestion. 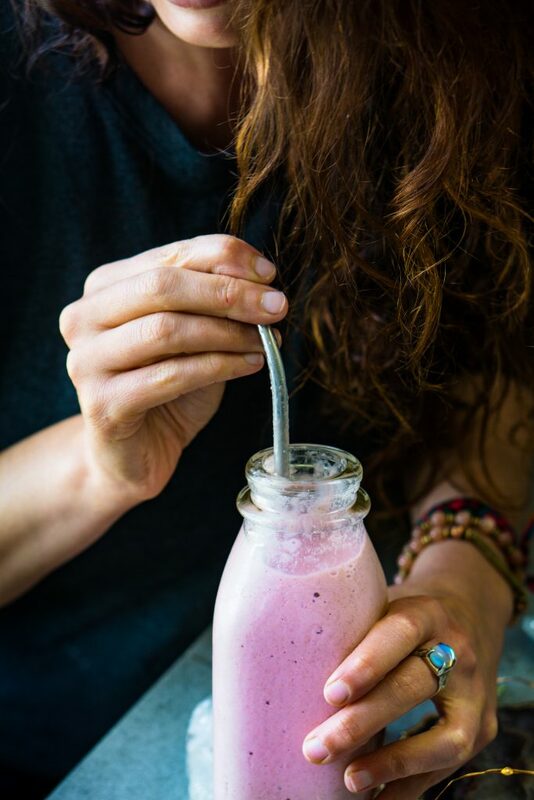 A study was conducted of burn patients at the Burn Treatment Center of Shanxi Province at Tisco General Hospital in China and how rhubarb can possibly ease abdominal discomfort and promote a healthy and normal digestion process. The study focused on the relief of bloated stomach and discomfort while providing regularity. 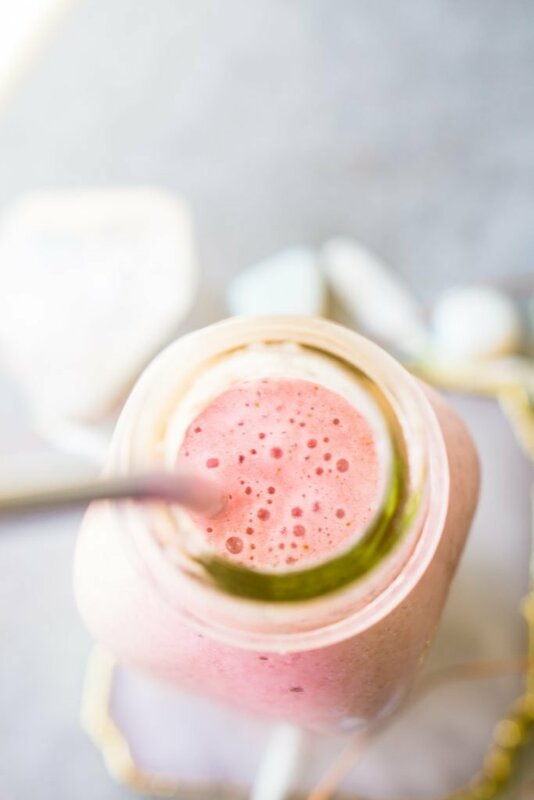 Researchers concluded that rhubarb can help protect the intestinal wall through the increased secretion of gastrointestinal hormones while providing normal contraction of the muscles that mix the contents of the gastrointestinal tract. When someone suffers from oxidative stress caused by numerous disorders, including stroke, Alzheimer’s disease, and amyotrophic lateral sclerosis, the brain usually undergoes a great deal of trauma. This stress can lead to the formation of free radicals, which can cause neuronal apoptosis and the development of some types of chronic brain disease. The research was conducted by the Northwest Institute of Plateau Biology at the Chinese Academy of Sciences to study rhubarb seeds. A free radical-scavenging method was used as the marker to evaluate the total antioxidant capacity of the extracts. Ten free radical scavengers from extracts of the seeds were screened, five of which were identified and quantitatively analyzed, including epicatechin, myricetin, hyperoside, quercitrin, and quercetin. All can be regarded as the major potent antioxidants in rhubarb seeds due to representing most of the total free-radical scavenging activity. As an herbal medicine, it can also help treat gastrointestinal discomfort that comes from constipation and diarrhea. 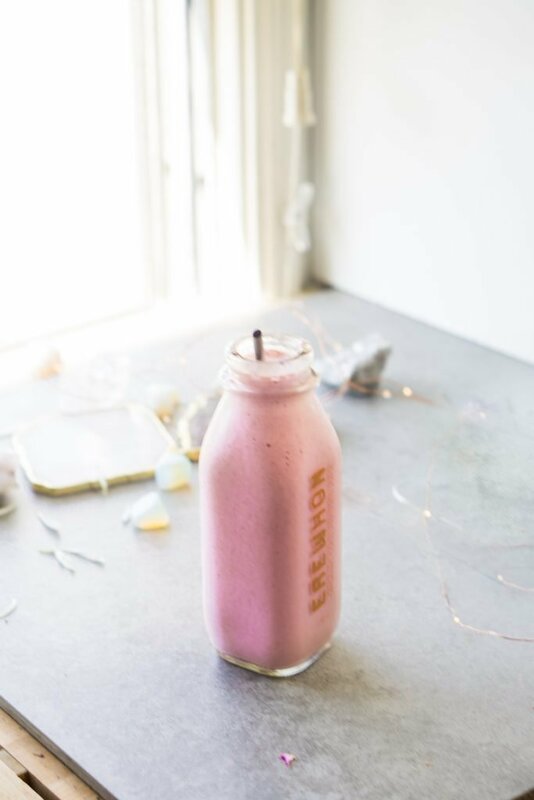 This can be done through eating rhubarb, but it’s typically done through medicinal methods, such as tinctures, extracts, and powders made from the roots and stalks of the plant. It’s crucial that you review these methods with your doctor since overconsumption can aggravate any ailment. If you want the smoothie to be any sweeter feel free to add honey, stevia or maple syrup. Peel and chop your ginger. Rinse and chop your rhubarb.